Styled with nadia skirt and tiffany jacket . 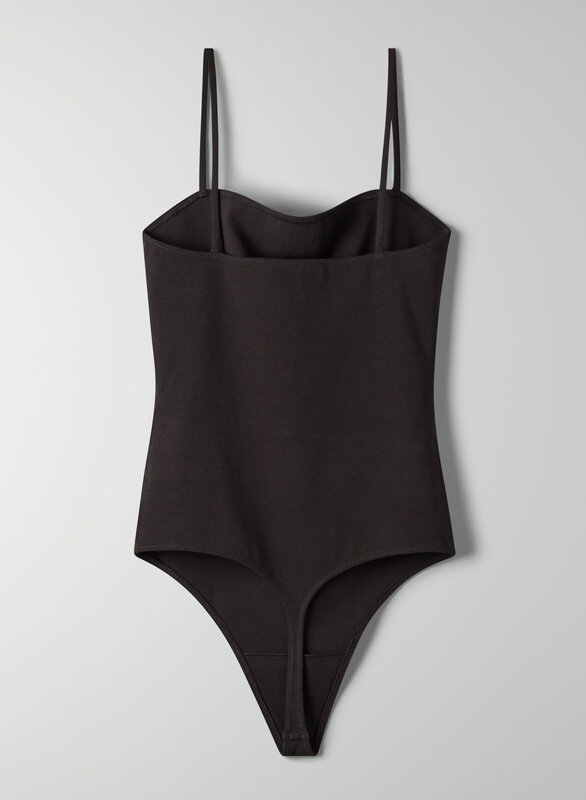 This is a structured, thong-cut bodysuit with a square neckline that's deeper at the back. 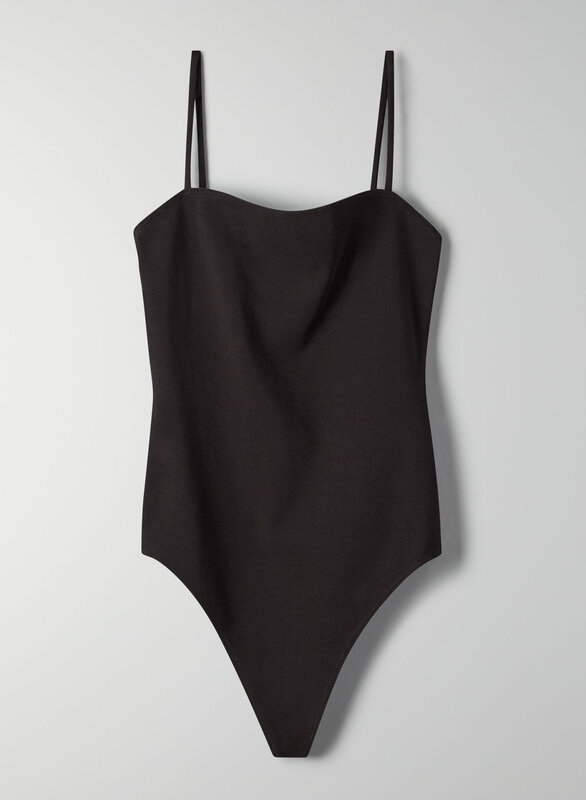 It's made with a stretchy jersey fabric that holds you in.